We at PTF Industrial Coatings, Inc. provide more than just professional finishing services. We started in 1992, with a simple mission: to be completely committed to customer satisfaction and quality assurance. It’s still our priority today, and the root of our success. We offer a long-standing history, a team of expert innovators, and a curated list of high quality, high performance coatings, available to you for any project–whether it be for an architectural or industrial development, or for a commercial or consumer product. We’re equipped to transform your ideas into reality. Through the years, we’ve grown into one of the largest and most technologically advanced coating facilities in the region, expanding our resources and finishing capabilities to take on any coating project, big or small. With respect for our community and environment, we recently expanded and introduced new finishing solutions for our customers. This growth has been monumental, and it’s cemented PTF as a leader in the Paint and Coating industry. 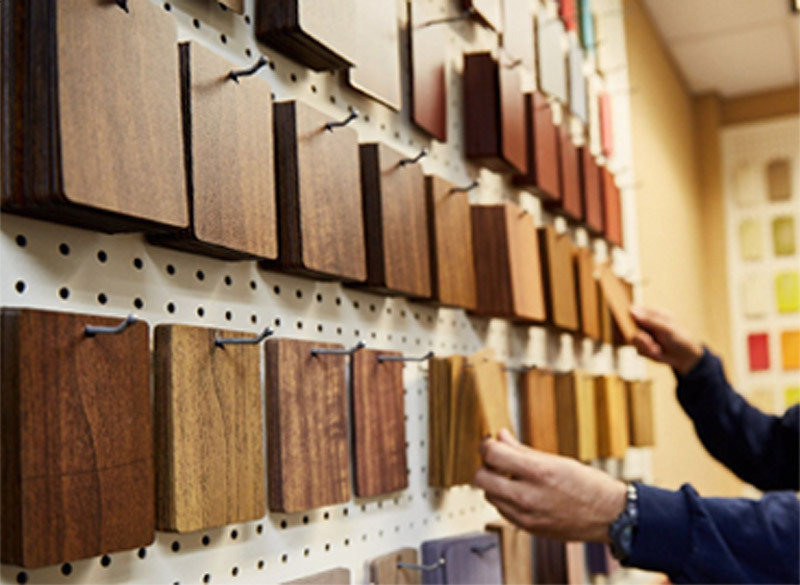 We’re proud of our legacy, and ready to help you in your next project. Let us be the source of all your high performance coatings needs. Though we’ve been working at PTF Industrial Coatings, Inc. since 1992, we’re not stuck in the past. Technology is key to the quality of our work, so we’ve made sure we’re always up to date. We have a 55,000 square-foot facility, including two industrial automated paint lines and a large capacity batch operation. 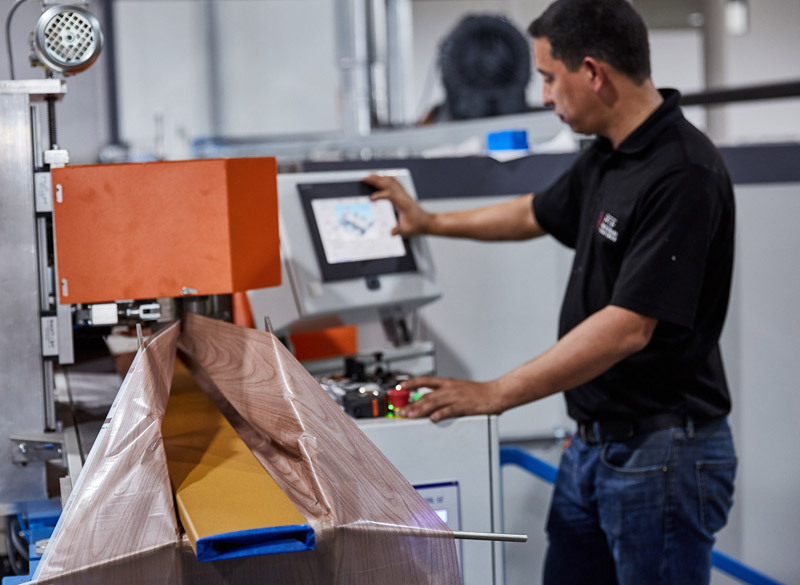 As a special feature of our architectural department, we currently house the only compact European extrusion-paint line in the country, the equipment allows us to run multiple jobs within a short time frame using fast color change technology in a compact area of our facility. Our facility also houses a state-of-the-art computer controlled 8-stage-chromate pretreatment system, which enhances the durability of our products. At PTF, technology also helps us take care of the environment. Our in-house Waste Water Treatment and RTO volatile organic compound abatement system help us meet all environmental regulations. Moreover, the most recent addition to our facility is the country’s first European high production sublimation system, as well as our single-pass hybrid liquid kynar paint line. This equipment, operated by our skilled team, enables us to provide our customers with an unparalleled finish, always one step ahead of the competition. Our mission to provide exceptional services works in tandem with our commitment to customer satisfaction and quality assurance. 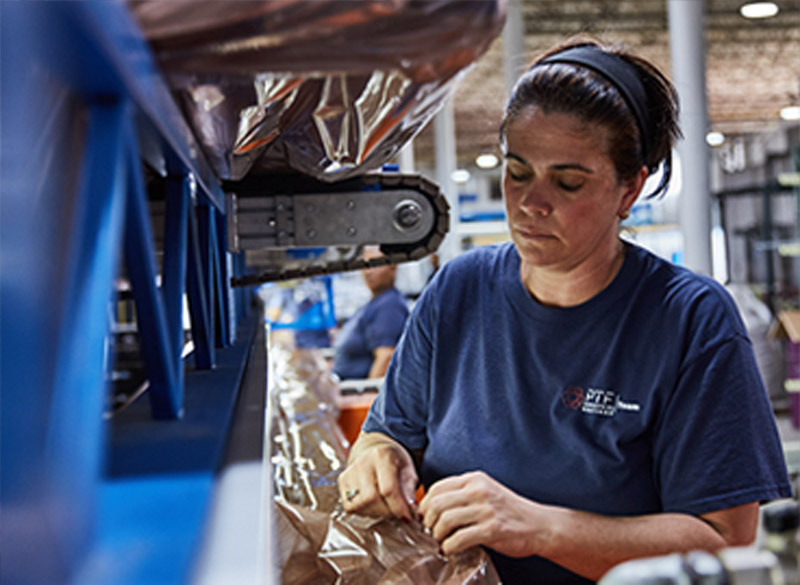 Our state-of-the-art technology supports growth and innovation. We hold ourselves to high standards, priding ourselves in our competitive rates and in our work: high-quality, expeditious, and unrivaled. Our goal at PTF is to provide you with excellent customer service–to surpass your expectations. We offer a competitive advantage, and we have the necessary tools and expertise to increase productivity and profitability. If you’re searching for exceptional service and a company you can trust, PTF is the partner and pioneer in the industry you need. Our team is dedicated to providing quality service. We operate on the principle that customers buy into a relationship with a supplier, working as a long-term partnership. We at PTF work with our customers, suppliers, and employees to promote mutual growth. This is a promise, a commitment to excellence and to continuous improvements in quality and service. Make the responsible choice by choosing PTF for your industrial coatings needs.